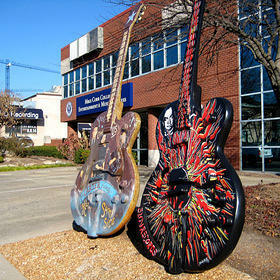 Everyone knows Nashville is the capital of country music, and Music Row—a National Treasure of the National Trust—is the epicenter of the city’s unique sound. You can take a walking tour to visit many of the recording studios on Music Row, from world-renowned hit machines to hidden gems, and learn about their place in the history of Music City (and find out which famous names have recorded there). In 1955, the American Federation of Musicians constructed this building for its offices and a music practice room. It changed hands twice (once to country singer Marty Robbins) before it was purchased in 1985 by a local group of musicians and producers. In 2015, it was awarded Top Studio of the Year. Omnisound Studios is open for tours. Who recorded here: Faith Hill, Jewel, Miranda Lambert, Lady Antebellum, Beyonce, Taylor Swift, Blake Shelton, Luke Bryan, Lionel Richie, and more. Sound Stage Studios, owned by Mercury Records, opened in 1970. A decade later, it was sold again to new owners and became the domain of producer Jimmy Bowen, who revolutionized the Nashville sound by using digital recording equipment. 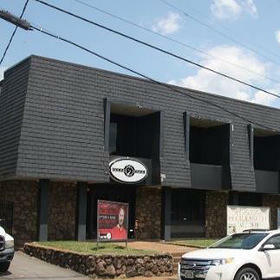 In 2010 the building became Black River Entertainment, and its offices and recording studios were remodeled. Black River Entertainment is open for tours. 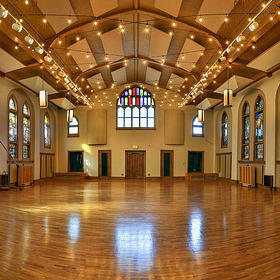 Who recorded here: Jerry Lee Lewis, Reba McEntire, Jimmy Buffett, Peter Frampton, Shania Twain, Carrie Underwood, and more. 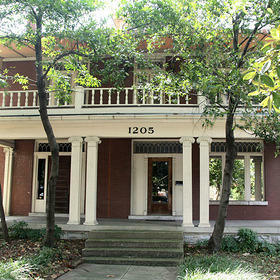 This studio, built by producer Owen Bradley, is legendary as the first studio along what would later become Music Row. Bradley and his brother, Harold, bought this former rooming house in 1954, laying the groundwork for what would become known as the Nashville Sound. In 2007, Mike Curb of Curb Records purchased and restored Studio A. Quonset Hut became a teaching studio, and Studio A reopened in 2014. Who recorded here: Bob Dylan, Elvis Costello, Lynn Anderson, Ray Price, Johnny Cash and June Carter Cash, Patsy Cline, and more. 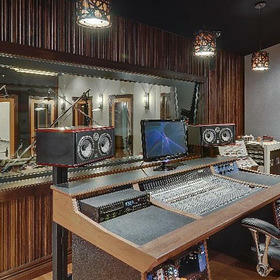 Though it was built in 1993, the site of this state-of-the-art studio has a history dating back to 1920, when it was the home to Bayou Recording Studio, which was destroyed in a 1987 fire. This Grammy-award winning entertainment company consisted of recording studios, a publishing company, and a boutique record label. The studio is closed but still standing today. Who recorded here: Gavin DeGraw, Tammy Wynette, The Martins, Michael English, Faith Hill, and more. Ocean Way Nashville operated as a church from the time it was built in 1911 until 1993, when it became a production center for televangelist Tony Alamo. 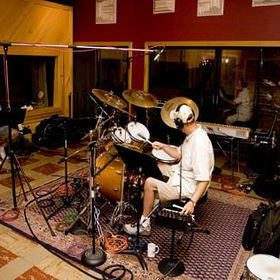 The building was purchased by recording engineer Allen Sides in 1995, who transformed it into a recording studio. 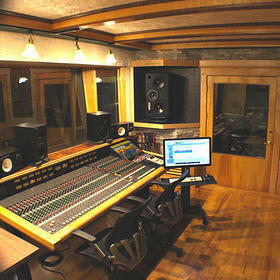 Belmont University bought the studio from Sides in 2001. Ocean Way is still a commercial studio today, as well as an academic facility. Ocean Way is open for private tours. Who recorded there: The Spice Girls, Bob Seger, Blake Shelton, and Luke Bryan. It is also the site of famous film and video game score recordings, including Call of Duty Black Ops 3, FIFA 2016, Madden NFL 2016, and more. Inside the House of David Studios is a secret passageway built for Elvis Presley, who wanted to enter the recording studio without being overrun by fans—though unfortunately, he died before he could record there. Founded by David Briggs, this studio has been located in its circa-1913 home since 1974. Who recorded here: Tom Jones, Willie Nelson, Emmylou Harris, B.B. King, and more. It was also a Mecca for jingles, with Briggs arranging and playing commercials. Producers Larry Sheridan and Robin Ruddy purchased this 1928 bungalow in 1997, and after two years of construction, the pair launched The Parlor Studio. The building features one-of-a-kind architecture that inspired the studio’s chandeliers and vintage-flavored fabric wall treatments. The Parlor Studio is open for tours. Who recorded here: Kenny Chesney, Hank Williams Jr., Amy Grant, Rascal Flatts, and more.